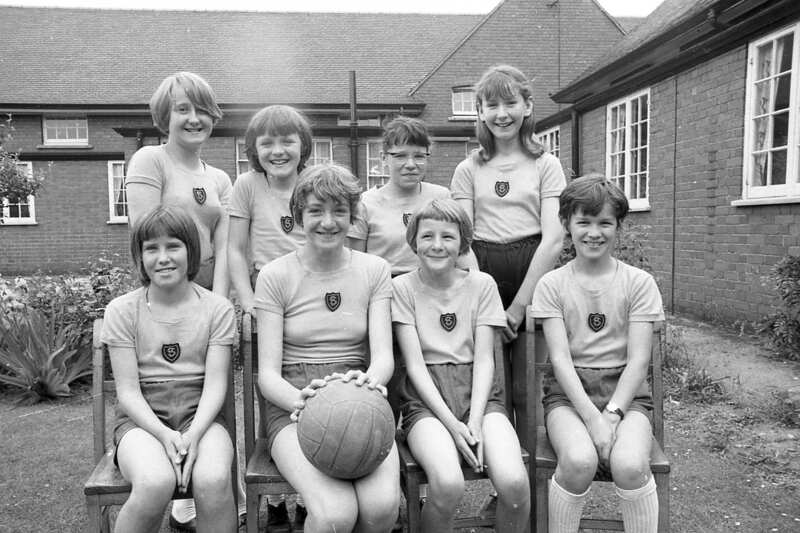 Two photo’s of school sports team which may bring back memories for past pupils and staff. Talking of memories does anyone recall the former Clipstone Camp hut that was used as a classroom and a dining room? Sorry Doug, due to copyright we are unable to supply photos. This was the team that played in the cup final against Ollerton Whinney Lane school and sadly lost. Back row L/R Colin Smith, Ian Taylor, Ian Thorpe (Capt.) Jim Crouch, Doug Broadfoot, Steve Costall. 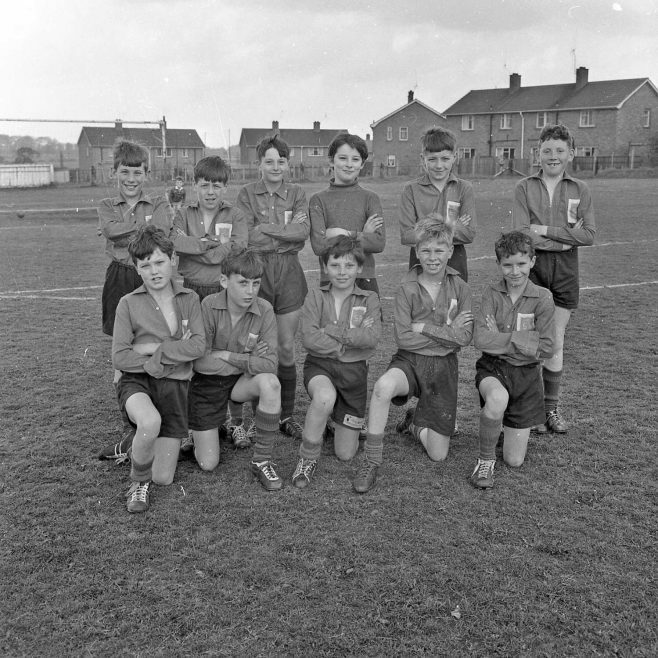 Front row L/R Billy Gillespie, Paul Collins, Bryan Appleby, Gus Montgomery, Billy Daines. Dear editor is there any chance of getting a print of this photo ? 1950 Football Team Photo - Metal Box Company? Greyhound Track - Old Mill Lane. Heathlands First School, Rainworth. Sports Day c1981. How to swing a club!